My third-born son was hoeing around the citrus trees in the food forest the other day when he made a discovery... and promptly caught it to show us. "Look! 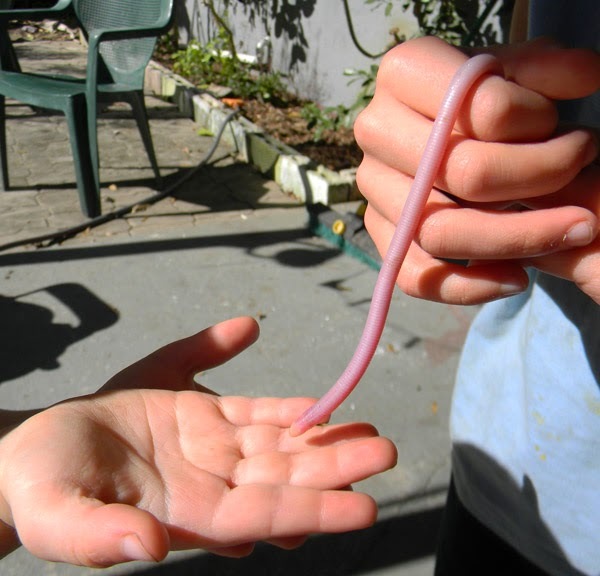 A pink snake that looks like a worm!" I've seen photos of this strange creature but never had the chance to meet one in person. 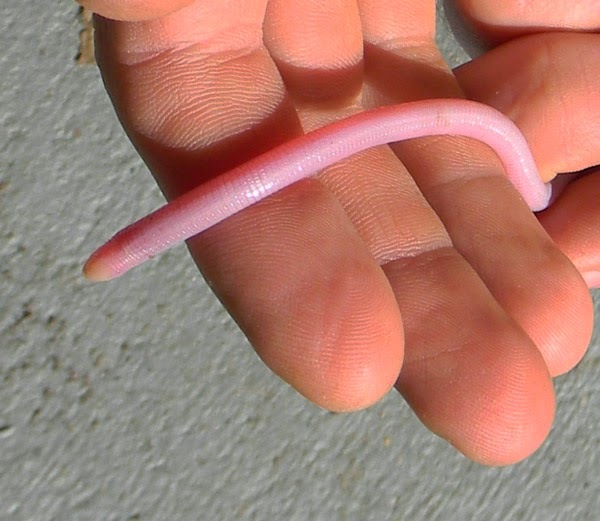 That is a Florida worm lizard, known more properly as Rhineura floridana. It's a good little predator and rarely seen. I'm excited to constantly be coming across new species in the food forest. Dropping lots of rough organic matter and stick piles around... putting up bird houses... not mowing... planting a wide diversity of plants and trees... it makes a difference. The neighbors might think you're nuts but Nature is quite happy to move in and entertain you with an ever-changing array of strange and beautiful creatures. My son was kind enough to let his younger siblings hold his newfound pink friend. And then, after all the children had seen the mysteriously worm-like reptile, we set it free in our Miami Garden, where it rapidly buried itself in the mulch. My naturalist's heart was warmed to see my children fascinated by a bizarre creature without shrieking or yelling "kill it!" Hopefully our Florida worm lizard will eventually have many children of its own that we will meet in future years. 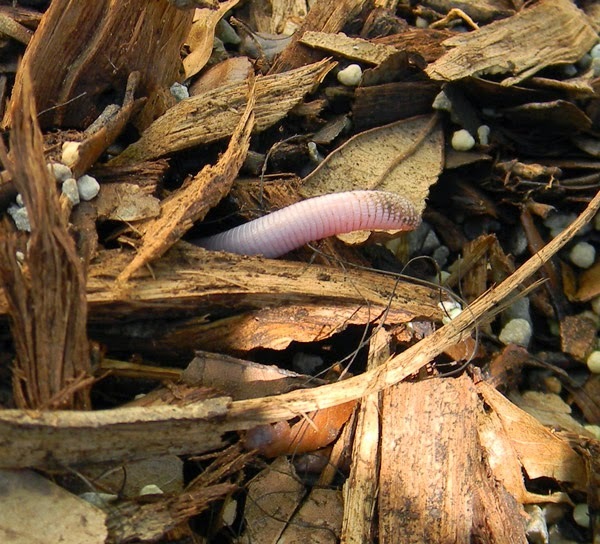 For more on the Florida worm lizard, check out this page I found. I hope he finds one. You oughta come down and visit the homestead one day in the spring... there's a ton of weird and wonderful things here your boys would love.